Winters in the UK are, in most areas, not severe enough to require the use of snow chains by British drivers. However, there are some parts of Europe in which snow chains have been made compulsory during the winter months. If you are planning to drive on the continent during the winter months then you should check the regulations for the country you are visiting, just to make sure whether or not you will need to invest in a set of snow chains. If you are looking for a way to make your car safer in wintery conditions, but do not want to fork out hundreds or thousands of pounds for winter tyres, snow chains might be the solution to your problems. 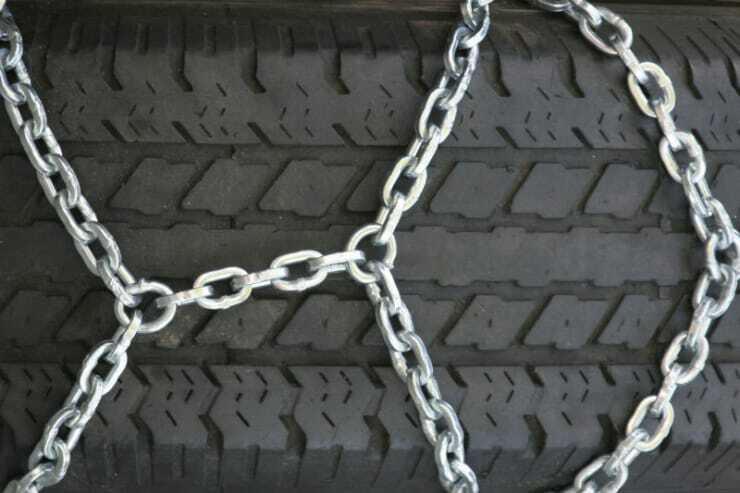 If you look after them well, one set of snow chains can last much longer than a set of winter tyres, and are much cheaper to purchase in the first place. This makes them a much more economical option than winter tyres, but they are only a viable option in some circumstances. Unlike winter tyres, you are only permitted to drive with snow chains fitted if the road is covered in a protective layer of ice and snow. If you are driving somewhere where snow and ice are only intermittent during the winter months, you may find yourself having to fit and remove the snow chains from your wheels on a regular basis. It can be fiddly and time consuming to fit snow chains, especially if you have never done it before and if the wheels are covered in snow. If you are looking for increased grip on wet, or mildly icy, winter roads then snow chains are not the way to go forward. Winter tyres may help you, but driving with snow chains on roads which are not protected by snow and ice can cause damage to both the road surface and your vehicle. Before you go out and buy a set of snow chains, measure your wheels to make sure that you have enough space between the tyres and the wheel hubs for the chains to be properly fitted. It could be that your tyres are not wide enough or deep enough to support snow chains.